Side by Side 6 Bedroom Duplex 18% NET p.a. 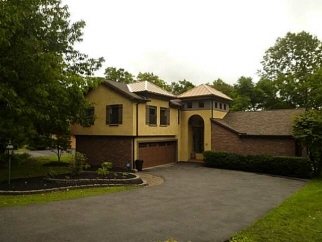 Luxurious living on irondequoit bay! Life elevated, with every amenity! Enjoy boating, relaxing in the hot tub, and sleeping in the canopy of the trees. Breath taking setting that is truly remarkable. 5 minutes to pittsford or downtown. Gourmet kitchen with state of the art appliances! Boat dock with remote controlled hoist! Opulent master-suite w/jacuzzi, multi level entertaining centers, stunning architecture, 1st floor laundry, on demand water heater, octagonshapeddeckover hanging the bluff, must see to believe.